I hope I'm just missing something in my admin settings but I've looked everywhere and can't find anything to prevent users from choosing the same user name as someone else. I have two different Email accounts that created the same user name (see screenshot). Is there a setting I need to change to prevent this from happening? You are showing the Display Names. In your screenshot, the Usernames are to the right of that. I don't know of a way to stop duplicated Display Names as in real life people can have the same name. It can make it confusing. Maybe one of the advanced member plugins might have this sort of option. I am not sure. Sorry Donna, I used the wrong term there, the Display name is what I meant. Because our site promises anonymity, the first and last names are hidden. I created new single line text fields for that information. Then I changed the Last name field to be the display name in the sign up process, if that makes sense. That way their actual last name isn't showing, but they pick a display name. That is what is being duplicated. 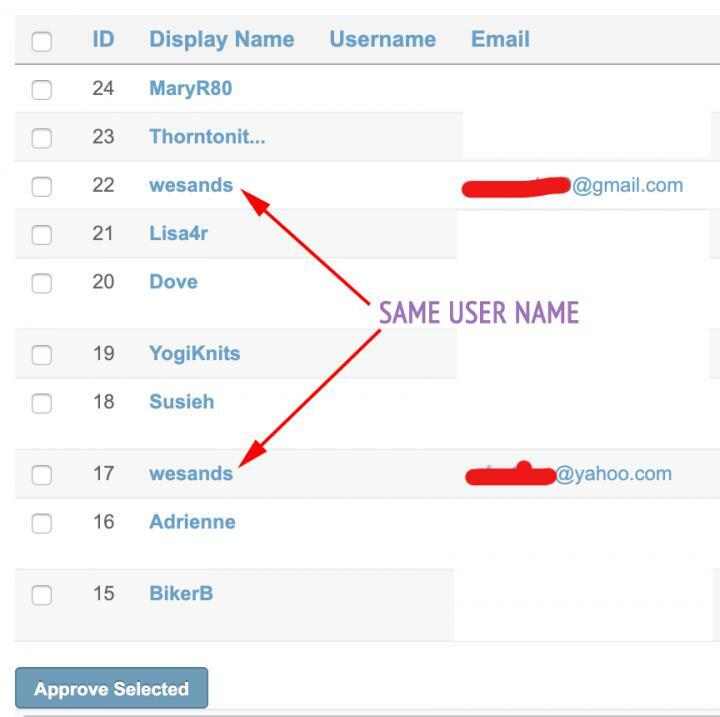 I know many sites have a "That username is already taken" response if someone tries to duplicate a username. It looks like there is a username field in my above screen shot, but I am not using it obviously, as no one has one. When I go to create a new question in the sign up process, I don't see username in the drop-down menu. Is there a way to create usernames that can't be duplicated? 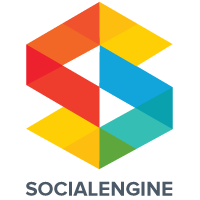 https://support.socialengine.com/php/customer/portal/articles/1642532-admin-panel---settings-&gt;-signup-process the custom profile address should work. It is starting to make sense now. The Profile Address is then a persons Display Name, which can't be duplicated. 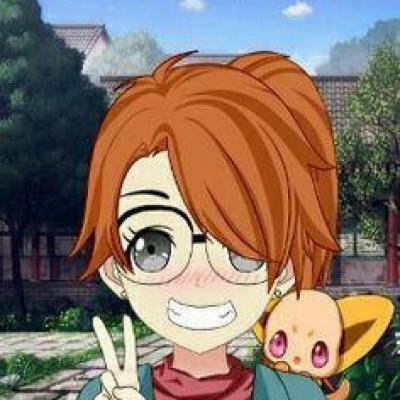 I tested it and viola! Is there a way to change the text on the Create Account page so that instead of asking them to pick a "Profile Address" it could say "Display Name"? Or to add text underneath the box to say that "This will be the name that will be displayed to other members" or something similar? It should work via the language manager. Thank you Donna, I never knew what the Language Manager did - that is the solution I was looking for. You are the BEST! Sorry it was so brief. I have about 10 tabs open atm. So much to do! lol. Yeah we changed it here to be Displayed Name. Note the "ed" added in order not to confuse the script with "Display" name.